We are so excited to be partnering with Lauren Kelp and Breann Bowman of www.LaurenKelp.com This incredible lifestyle website is full of amazing ideas from entertaining, and décor to recipes and beauty. In a world of selfies and #OOTD’s, LaurenKelp.com is a refreshing, witty, and unexpected approach to thoughtful living without the pressure of being perfect. This site is as a place where tips for entertaining on a dime, hostess with the most-ess moments, and feel-good life hacks for the busy gal-on-the-go, meet up and have cocktails. Breann Bowman is the voice behind our beloved beauty column. With a background in cosmetology and deep love for anything creative, she is a big believer in simple yet timeless beauty. When she’s not glued to her camera or hunting down the next great taco joint, you can find her at home cozying up to a book with her husband and two fun-loving pugs. 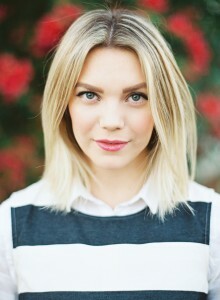 Lauren Kelp is the editor-in-chief of LaurenKelp.com, an entertaining & lifestyle website for the savvy gal on the go. Featured by ELLE, Design Sponge, Apartment Therapy, LUXE Magazine, and various other online publications for her entertaining and lifestyle advice, Lauren loves sharing her dinning and décor expertise. After calling Austin & Phoenix home for the past 10 years, Lauren and her husband have moved to Chicago where she hopes to convince him that they need a French Bulldog named Frida. Posted on March 17, 2015 by Admin and filed under brand ambassador and tagged www.laurenkelp.com lifestyle website decor DIY recipe entertaining brand ambassador things we fancy food & drink design sponge apartment therapy ELLE Lux magazine martha stewart magazine anthropologie.